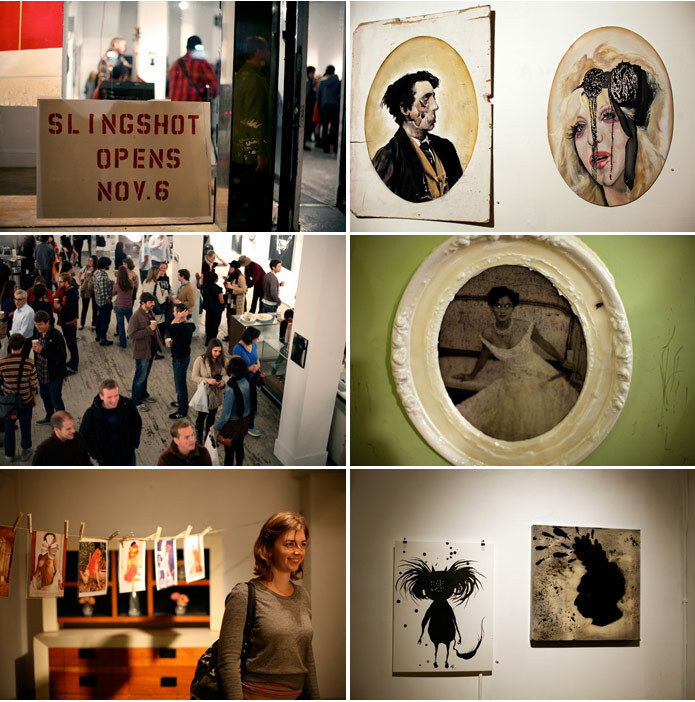 After dinner on our way to the Latin American Club we happened to stumble across the opening of the Slingshot Gallery. This space used to be that awesome and corky modern furniture store X21 (Valencia @20th), I guess they went out of business, and now it's the temporary gallery space entitled Slingshot. It's an amazing space, huge.